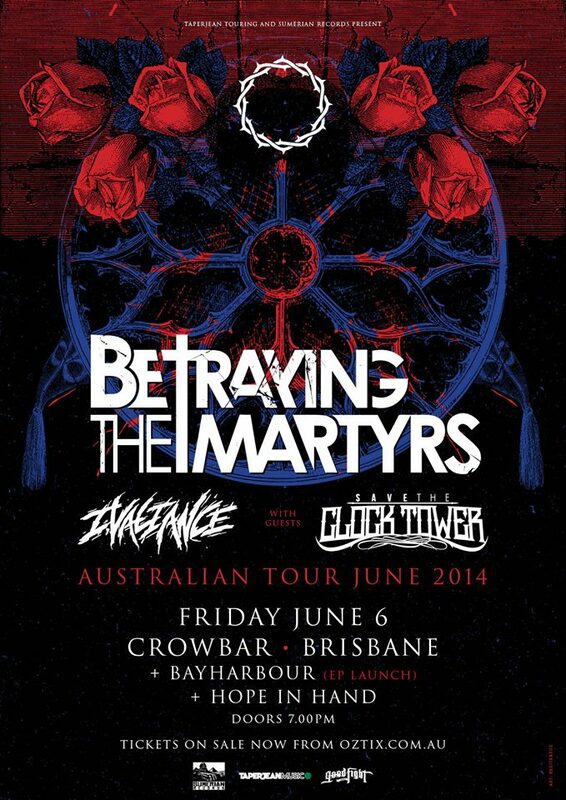 As Betraying The Martyrs start their journey across Australia, make sure you check out this special 18+ Brisbane show which features not one but two Mannequin Republic bands! The long awaited return of Save The Clock Tower up from Launceston Tasmania and the special double date EP launch for hometown heroes Bayharbour as they unleash their brand new Reawaken disc on the public. It is going to be epic! See more on Facebook.